This winter, you don't have to choose between the temperature of your hands and the temperature of your beer. 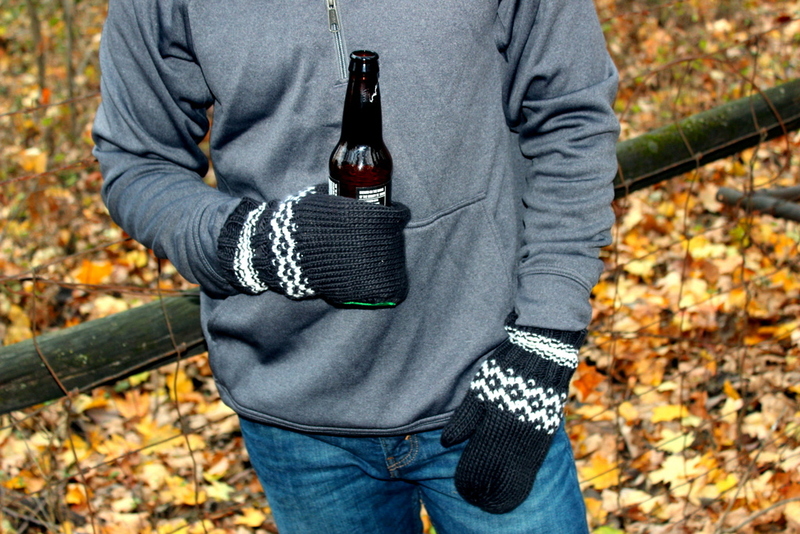 These amazing mittens double as beer koozies, so you don't have to freeze your hands off just to have a chilled beer. The mitten pair consists of one normal-shaped mitten and one beer-holding mitten, which wraps around and has a closed bottom to hold onto your bottle. So while your fingers are swaddled in warm, knit mittens, your beer is being insulated in its koozie. The mittens come in five different colors—gray, blue, red, green, and pink—so you can match the mittens to your outfit or your beer label. They're one size fits most, so they're easy to share (read as: to steal your friend's). And don't worry if you're a lefty - these mittens are ambidextrous. The beer koozie mittens come from The Michigan Mitten company, a small company owned by two brothers from, appropriately, Michigan. Marketed to tailgaters and beer enthusiasts alike, the mittens work for pretty much any outdoor beer drinking experience. They're currently selling for about $20 a pair, and ten percent of that goes to the United Service Organizations. Wear the mittens with your favorite brews from the Mitten State: maybe you like your beer made from civet poop, or maybe you want to keep it a little more traditional with a Shorts Brewing Company Huma Lupa Licious IPA.